Because the other employees in her department already have MBAs, Carol needed the degree in order to progress. A promotion would also nearly double her current salary, the equivalent of £400 per month, making it easier to afford the private school her daughters attend. Carol’s husband, Patrick, supported her decision to get an MBA. He works as an Under Secretary in the Manpower Development Department of the government and already has a Master’s degree from the US. As painful as the decision was, Carol knew she had to go. “You feel like your heart is being torn apart. At the same time, I can’t forfeit this opportunity. It’s for my future and their future.” She feared that refusal to complete the training scheme in Cardiff could result in eventual dismissal from her job. Before I showed up for grad school at UNC and found my husband teaching Intro to Public Relations, I spent a year in a professional degree program at Cardiff University in Wales. That year changed me in so many ways, thanks in part to the women who were assigned as my flatmates. This week, I'd like to share with you an article I wrote at the end of my course there. It's a little schmaltzy in places, but it tells the story of two amazing women. At the time that I lived with them, I found their stories incredible -- now ten years later, as a mother and wife who is the age they were then, I am profoundly moved by their courage and grace. I have never felt as alone as I did last September. At age 26, I had left my home in North Carolina – my family, my friends, my job, my car – to study for a year at Cardiff University. I was living in a very plain university flat, sharing a bathroom and kitchen with four strangers. For two weeks, I was convinced that my heart would actually stop from homesickness, or that my eyes would become permanently red from crying myself to sleep. 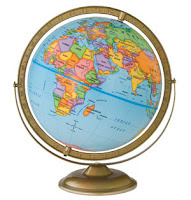 But my perspective changed drastically when I began to talk to two of my flatmates who had come from Africa for a Master’s in Business Administration, a programme comprised almost entirely of overseas students. Carol Muir, 35, and Mwenya Nyirongo, 38, had not only left their friends and their jobs – they had also said good-bye to their husbands and children for the year. Suddenly, I didn’t feel so homesick anymore. Ten years ago this week, I walked into my first class as a grad student at UNC and met my husband. Of course, he wasn't my husband at the time. He was my professor. Okay, I was a master's student and he was a doctoral student, so technically we were also classmates. But at that first moment, he was still my professor -- and I knew immediately that there was something different about him. The next day, we were flirting in the halls of the journalism school. Two weeks after that, I switched into a different section of the class so that we could start (officially) dating. One year later, we were married. Ten years later, I'm still amazed at how it all happened. I might not be ineffable anymore, but I'm still driving a convertible and still trying to impress him. The good news? It seems to be working. Wordless Wednesday: Has Anyone Seen Pippi? If you give a Mommy new crown molding in her bedroom, she's going to ask for new baseboards, too. When she sees the new baseboards, she'll want new wall paint to go with them. While the paint is going up, some of it spills on the floor, so she'll ask for new carpet. For the whole upstairs. Walking on the new carpet will remind her of walking on soft beach sand, which will make her want to open the windows for some fresh air. When she looks out the windows, she'll want to run around outside and play. After she comes in from playing, she'll realize she's sweaty and want to take a shower. Taking a shower will cause more water to drip through the tiny crack in the shower floor and stain the kitchen ceiling, so she'll need to bring in a contractor to replace the entire shower. Replacing the shower will involve cutting through the kitchen ceiling to bring the drain pipe up to code. Once the kitchen ceiling is cut open, she'll figure that they might as well replace the popcorn ceiling in the kitchen and the den and the foyer (because, of course, they're all connected) with smooth ceilings. And new lighting. The vision of new lighting bouncing off the stained sink, rusty refrigerator, badly-installed cabinets and dirty laminate counter will make her want an entirely new kitchen. And a new opening to the dining room. And the family room. Tearing up all these walls will inspire her to replace all the flooring, too. Because, you know, why not. Putting in all new pre-finished hardwoods will remind her that she needs to have baseboards installed to match the new molding upstairs. And chances are, if she gets new baseboards downstairs, she's going to want some crown molding to go with it. For later posts about how the renovation turned out, click here and here. Above photo of my actual kitchen, mid-reno to the upstairs shower. As part of our Produce Box, we've been getting butternut squash the past few weeks. In searching for a way to turn it into a main course instead of a side dish, I found this recipe from Real Simple online. I wasn't sure I would love it, but amazingly I had all the ingredients in the house already. Last night, I made it for dinner -- delicious! And I'm trusting the leftovers will be just as good. I actually made everything bit the couscous in the afternoon while Pippi was napping, so it was super easy to get it all on the table for dinner. Halve and peel the squash. Remove the seeds and cut the squash into 1-inch chunks. Heat the oil in a Dutch oven over medium heat. Add the onion and cook for 5 minutes. Add the garlic, cayenne, cinnamon, nutmeg, and 1/2 teaspoon of the cumin and cook for 1 minute. 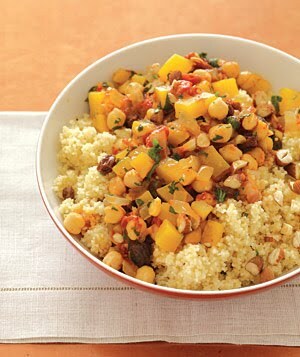 Stir in the squash, tomatoes, raisins, broth, chickpeas, and 1 1/2 teaspoons of the salt. Bring to a boil. Reduce heat, cover, and simmer for 10 minutes. Uncover and cook until the squash is tender, 15 to 20 minutes. Meanwhile, in a medium saucepan, bring 1 1/2 cups water and the remaining cumin and salt to a boil. Stir in the couscous. Cover, remove from heat, and let stand for 5 to 10 minutes. Fluff with a fork. Divide the couscous among individual bowls and ladle the squash mixture over the top. Sprinkle with the parsley [which I didn't have, so I skipped it] and almonds [which totally make the meal]. Yesterday I did two totally crazy things. Both fleeting, but very satisfying in completely different ways. First, I sat in a lounge chair at the pool. See, I told you it was totally crazy. And by "sat in a lounge chair," I mean that I actually sat by myself with no one in my lap or pulling on my arm or begging for snacks and just lounged. Pippi was playing happily by herself in the baby pool while Junius was in the big pool with my husband. So I just sat there, in the lounge chair, and watched her. It was a short, but lovely glimpse into a future with growing, independent children. Second, I washed my washing machine. I know, wild, right?! Who knew you were supposed to do that? But apparently you are and I did and now I can believe that my clothes are even cleaner than they were before. Phew. Watch out, world -- there's just no telling what sort of craziness I might get into next. 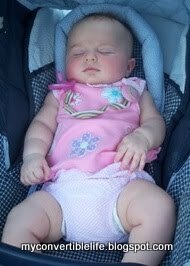 Photo is a totally gratuitous cute baby shot of the last time Pippi lounged at the pool. I think she was almost four months old at the time. I'm so glad it's finally my turn now and then. Lots of cities have nicknames that link them to more famous places. Carrboro, NC, is known (at least to those who love it) as "the Paris of the Piedmont." Greenville, NC, gets called (at least by those who went to ECU) "the Emerald City." But there are a plethora of towns, mostly small, across the state that share their actual name with a better-known locale. We've got Denver, Dallas, Nashville, Washington, Plymouth and more that you might first associate with other states across America. Bolivia: South American country between Brazil and Argentina or town (pop. 148 in the 2000 census) we pass on our way to the beach? Warsaw: capital city of Poland or another town we pass on our way to the beach (and home of the oldest consecutive veterans day celebration in America)? Oxford: home of the prestigious English university or a town about 30 miles north of Raleigh? Turkey: Eurasian republic west of Iran or downeast town with 98 households (according to the 2000 census)? Eden: Biblical garden or Piedmont city with three downtowns? How about you -- what's your favorite shared-name city? For years, I've wanted a wife. Ever since I read Judy Brady's famous 1971 essay from Ms. Magazine -- and then taught it to baffled high school students who wondered if the author was a lesbian -- I've loved the idea of hiring my own wife. As Brady pointed out, who wouldn't want someone else to clean the house, cook dinner, do the laundry and meet your every need? So this spring, when I started working a regular paying gig again, my first order of business was to find a good wife. My budget wouldn't allow the full capital-W-Wife treatment, so I had to scale back a bit. A couple of hours each week with Ms. Mary gets me vacuumed floors, cleaned bathrooms and dusted furniture, and that is enough to make a big difference. But what elevates Ms. Mary from cleaning crew to wife status at our house is that she's also a gourmet cookie baker. So when Junius found a picture from a magazine about how to make cupcakes that look like the LGMs (little green men) from Toy Story, I turned to Ms. Mary for help. And ta-da... the perfect finale to one five-year-old Toy Story 3-themed birthday party. Having a wife rocks -- and it makes being a wife and mother a whole lot more manageable. 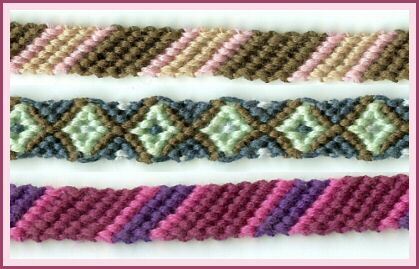 Remember making these bracelets as a kid? Then exchanging them and wearing them as a sign of your friendship? When you get to be an adult, sometimes the friend symbols aren't always so obvious. But as much as I've complained about how hard it is to date women, I've been outrageously blessed with wonderful friends throughout my life. Just this past week, I've had plenty of reminders to be thankful for girlfriends. So to all the ladies on this list and the many more I don't see often enough, thank you! Even though she's suffering from newborn exhaustion and c-section recovery, your friend still notices and compliments you on your new haircut. After your son leaves for kindergarten for the first time, she stops by with a hug, a card and a Cherry Coke Zero. When you call the night before to see if she could watch your child for a couple of hours, she says "We'd love to!" and means it. She invites you to spend the weekend with her at the beach -- year after year -- and lets you bring your husband, your children and all your craziness, too. She's the only person allowed to call you as early as 7 a.m., just to check in about the day or to chat with your children. Five minutes. 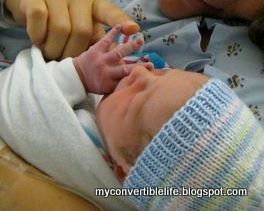 That's about how old this baby was when I held him for the first time. The freshest baby I've ever had in my arms -- and he's not even mine. Junius and Pippi were at least two hours old by the time I got to cradle them, count their toes, marvel at their tiny, long fingers. That's among the crazy things about having a c-section -- during those first precious hours, you're still flat on your back in the operating room and recovery while someone else is taking care of the tiny person they just pulled out of your body. Then last week, I got to be that "someone else" for my dear friend S, who asked me to follow her sweet baby boy from delivery to recovery to take pictures of him. As someone who's had two c-sections, I knew something of what my friend was thinking about while strapped onto that operating table -- but she may never fully know the amazing gift she gave to me by inviting me into those first minutes and hours with her son. In many ways, it was just hospital routines -- checking his reflexes and vital signs, cleaning him up, poking at him, warming him under the little heat lamp. But for me, it was this magical missing piece that I'd never seen before. This beautiful baby will never remember that I was the one there with him during his first hour, but I will never forget.